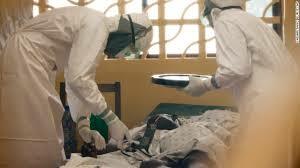 Recently, as you all are most likely aware, one person from Liberia was diagnosed with Ebola in Texas. Just as Obama reiterated his commitment to immigration reform and pushing it through on his own if he has to by the end of the year, it appears the sole Ebola patient in the U.S. may once again heat up the debate on immigration. People are asking why the Ebola patient was ever issued a visa to enter the U.S. and how many others carrying the Ebola virus were issued a visa. Join Hannaford Immigration on Social Media! Get the latest updates in your email! Contact an Immigration Attorney Today! The use of email or the contact form on this web site for communication with the law firm or any individual member of the firm does not establish an attorney-client relationship. Confidential or time-sensitive information should not be sent through this form. The information you obtain from this site is not, nor is intended to be, legal advice. You should consult an attorney for individual advice regarding your own situation.